Curing good bacon is difficult to get right, especially since we did not grow up with the knowledge. As Tom learned, this fact does not put us off. It makes us want it more! This is the reason why I am here in Denmark. I miss our weekly hikes up Table Mountain and the kids in Denmark don’t have mountains like we have in the Cape. What I miss even more is having you here so that we could learn together. Every night after supper Andreas’ dad reads for us from a book called Foods, written in the 1870’s by an Englishman, Edward Smith. I want to give you a few quotes from this book that will show you why what we are doing is important. He lists the main ways that this is being done namely by drying, by cold, by immersion in antiseptic gases and liquids, by coating with fat or gelatin, by heat, salted meat and by pressure. (Smith, 1876: 22 – 38) Tris, this list is important. All have their benefits and disadvantages. As science develops in each area, the main way of preserving meat may change. Never continue to do things because we did it in a certain way. Always remember this list and see if it is not time to change the entire way things are done. 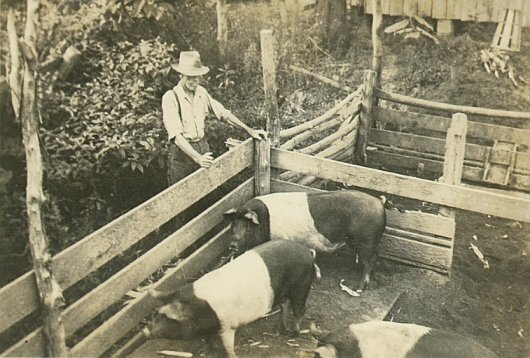 Bacon is made when cuts from the pig is preserved by salt and saltpeter. (Smith, 1876: 64). This gives bacon its characteristic pinkish/ redish colour, a nice flavour, and it lasts a long time before it tastes “off”. This is the kind of things we learn at night, after a good supper and we talk about for another hour before we all go to bed. The next day we leave for work very early. The owner of the butchery where Andreas works is an older Danish man called Hendrik Jeppeson. We call him Jeppe. An extremely knowledgeable man who seems as if he has been around in the meat industry forever. I have not asked him any question that he did not know the answer to. Take saltpeter for example. We use it to cure the bacon with, but what is it? What is turning the meat redish/ pinkish? What is preserving the meat and gives it the nice taste? David Graaf uses too much salt when he cures bacon. One of the mixes that we use over here is 10 pounds salt and 3 ounces saltpeter. (1) (Dunker and Hankins, 1951: 6). We also add other ingredients that I will write you about that David does not know about. I asked Jeppe these questions about saltpeter one morning. He put his arm around my shoulders and told me that there are interesting answers to these interesting questions. That he hopes I paid attention in chemistry class in school. For the next week, every afternoon when we break for lunch, I would go to his office where he would take out his lunch that he brought from home and while he eats it, he would tell me the story. He told me that 1891 was a very interesting year that I chose to come to Denmark. Jeppe has a young biologist friend, working for the German government, Dr. Ed (Eduard) Polenski (9). It was not long before I arrived in Denmark when Jeppe met up with him in Dresden where he told Jeppe about some amazing findings he had made when studying curing brines and cured pork cuts. The close relative of nitrogen that Ed found in the curing brine and the pickled meat is called nitrite. (4) Nitrite has one nitrogen atom and two oxygen atoms (NO2). What was interesting was that when the brine was mixed and he tested it, there was no nitrite present. The only family member of nitrogen that was in the brine was nitrate. Nitrate has one more oxygen atom than Nitrite. One nitrogen and three oxygen atoms (NO3). Jeppe sat forward in his chair. Moved closer to me and said in a soft voice: “I am getting ahead of myself. The story of saltpeter goes back much further than what Dr. Ed Polenski found.” He then got up and sat behind his desk. Out of a drawer he took a big notebook with pages of notes in his own neat handwriting. These ancients could not tell if saltpeter occurred naturally or was it something that had to be nourished or cultivated by humans. They wondered how to take the impurities out of the salt. Jeppe had neatly written down a quote from Peter Whitehorney, the Elizabethan theorist who wrote in 1500’s. He said about saltpeter, “I cannot tell how to be resolved, to say what thing properly it is except it seemeth it hath the sovereignty and quality of every element”. Jeppe got up from behind his desk and put the note book open in the palm of his one hand. He was pacing up and down inn front of his desk as he continued to read quotes. From the 1400’s to the late 1800’s scientific writers probed the properties of this magical compound. He continued with a list of quotes. Tris, by this time I was completely dumbstruck! A salt that I have been using almost every day since I landed in Denmark! A sensation of awe and grandeur came over me! As if I stepped onto a stage where a Shakespearean drama has been acted out and became part of history. I would never again hold it in my hand and think of it in the same way! In India they mined saltpeter from the earth and thousands of small villages were engaged in its production. (Crookes, W. 1868/ 69: 153) It grew like fungus on the walls of cellars and around toilets. (Drs. Keeton, et al, 2009: 6) (6) It seems as if it occurs wherever urine and dung occurs such as in bat caves. Saltpeter was also made by human endeavour. Where the people of Germany chose to make their own saltpeter, in England they harvested saltpeter earth and extracted it from the niter enriched soil. Saltpetermen scoured the English countryside and dug up any place where the ground could have been impregnated with animal and human urine and dung. 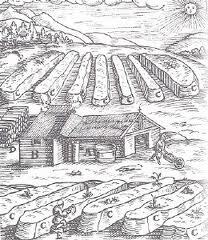 Figure 2: Saltpeter plant: (16th century) Long rows of beds with porous walls(C), filled with a mixture of vegetable wastes, blood and dung as nitrogen source plus lime or ash to promote nitrification. Lime controls an optimum pH-value of 7.2 to 7.8. The porous walls of the beds allow an easy access of oxigen. In building (B) the contents of the ripe salpeter-beds were leached and saltpeter kristallised. (A) A vat, collecting rainwater from the roof. O. Guttmann:”Monumenta Pulveris Pyrii”, London 1906. A collection of Reproductions of Ancient Pictures Concerning the History of Gunpowder. This was in the first place not used to cure meat, but in the production of gunpowder and as a fertiliser to increase crops to feed the ever growing population of the world. It was the arms-race of the 16th 17th and early 18th century and the desire of all great nations. Saltpetermen received authority from the king to dig up any soil from which saltpeter could be extracted to the great frustration of the people of England. Their work and the irritation it brought to the English people became a huge political issue during the time when England was a monarchy and after the civil war. Dove coves or pigeon houses were also favourite sites because of their concentration of the sheltered droppings. The way it was harvested is very interesting. Barrels of niter rich soil was harvested in England from places where saltpetre would most naturally occur and in Europe, from niter beds made by the farmers. Barrels full of dung rich earth would be set on a framework so that water introduced at the top would trickle down to a catchment tube at the bottom. Further refinement through filtration. The whole process would take a week or more. (Cressy, David, 2013: 17) Europe and England struggled to produce enough salptere. 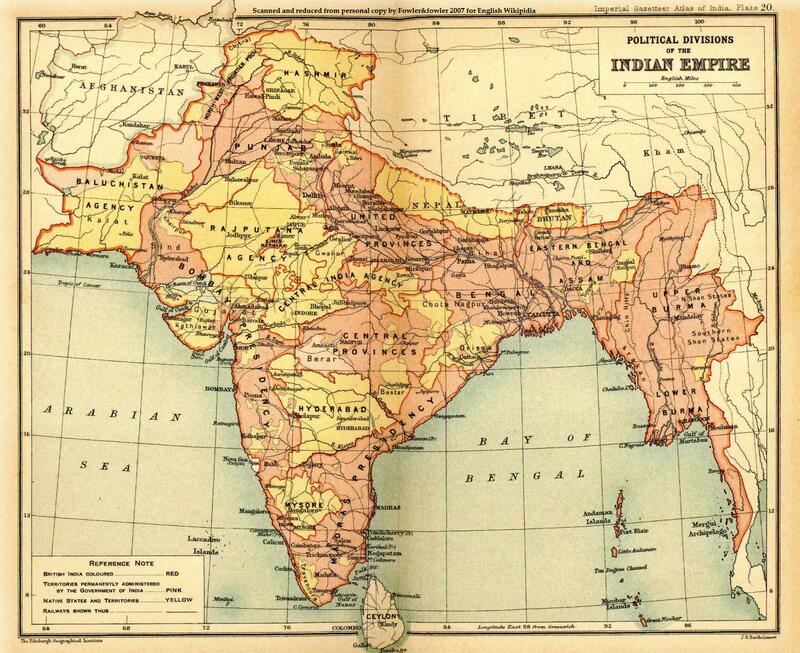 After 1850’s the East Indian Company solved the supply problem of Saltpeter by importing it from India where it occurred naturally and was also efficiently produced. (Cressy, David, 2013: 25) Some of the saltpeter were imported in a refined state and some to be refined in England. Trade in saltpeter from India to London, Amsterdam, Lisbon and Stockholm and to my current home city, Copenhagen dominated. Saltpeter was one of the largest commodities by volume for the Dutch East Indian Company. (Frey, James W. 2009.) (7) Its ships that sailed past our Cape Town brought tons of unrefined saltpeter to be sold the England and European countries. 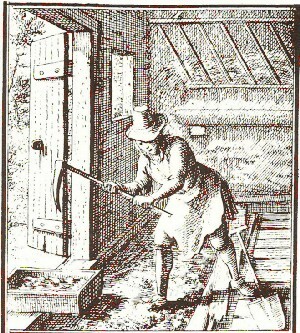 Saltpeter digger braking open the floor of a stable with a pick axe. Lavoisier became the father of industrial chemistry. By the time of his death a good understanding of saltpeter’s chemical origin had been achieved. (Mauskopf, MSH. 1995: 116) The mystery was unraveled. The mysterious compound – potassium nitrate (3). It is the nitrate in Saltpeter that was turned into nitrite in Dr. Polenski’s experiments by the action of bacteria that is responsible for the curing of meat. The lunch hour in Jeppe’s office seemed too short. He told me that this is a small part of the story. Discoveries in a desert in Chile lead to war over saltpeter. How did Ed Polenski know that bacteria was changing the nitrate into nitrite? What was the relationship between salt and nitrite? Could we use only the nitrite to cure meat and leave out the salt altogether? How could we reduce the saltiness in the bacon? I promised Jeppe that I would bring his notebook back by the end of the day. The sun is setting and I don’t want to be out too late after dark. This seems to be a good place for me to end my letter to you. Next week-end I will write again and tell you more. I am sure that if Ava is reading you this letter, that you must be fast asleep by now! I hope you are well my boy and that you continue to work hard at school! Please be sure to keep an eye on your sister. Remember that while I am gone you are the man of the house and you must take care of the woman. (1) Even though the survey was done in the 1950’s in the US, 60 years after the letter was presumably written, I include it since methods and formulations in those days seemed to have a longevity that easily would have remained all those years later. The survey was also done among farmers, in an environment where innovation are notoriously slow. (3) Polenski discovered that nitrates were reduced to nitrites through bacterial action and probably performs the curing function. Today, nitrites are added to the brine mix as sodium nitrite (NaNO2). Saltpeter or potassium nitrate is still being used as curing agent in some parts of the world in some dished. Before curing can take place, bacteria reduces the nitate to nitrite. pagne » (chalk cham loin cloth) dissolved in very pure nitric acid; and 2° the same tests using unwashed ash. In the first set of tests, no saltpeter was obtained; the second yielded 7 ounces. Prior to the reports on the tests, Lavoisier had given the results of his analyses of the Parisian ash itself : he had found various salts including « sélénite », « tartre vitriolé » (selenite, “”tartar vitriolated) , Glauber salt and common salt. Eben has not been able to get a copy of this document. The account of the experiment that was done is at best “hear say” and have to be verified. Twain, Mark. 1876. The Adventures of Tom Sawyer. Hartford: American Pub. Co.